Planning a trip to Vietnam? 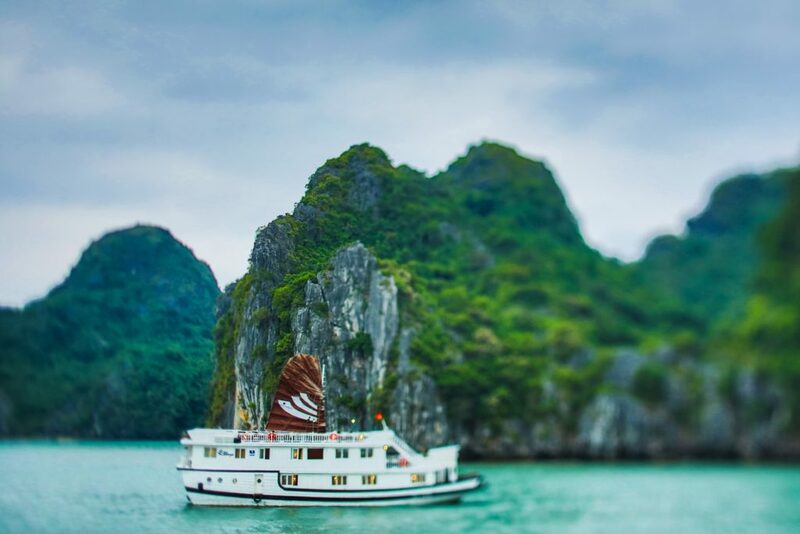 Whether or not you’re on the fence with booking an overnight cruise in Halong Bay, know that no itinerary to Vietnam is complete without breathing in the fresh sea air and exploring the hidden world of this truly legendary location steeped in rich cultural heritage and traditions. March is a mixed bag of weather when it comes to spending time discovering the vast corners of the enchanting Gulf of Tonkin. 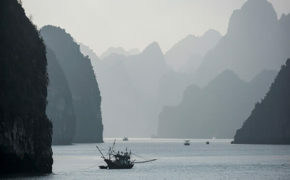 The first touches of spring radiate through the north of Vietnam, with hot sunny days switching intermittently with cloudy skies and late afternoon drizzles. There is a high chance of overcast days with chances of rain during the entirety of March. This lends a mysterious feel to the area, with limestone karst formations shrouded in mist and fog, especially in the early mornings. 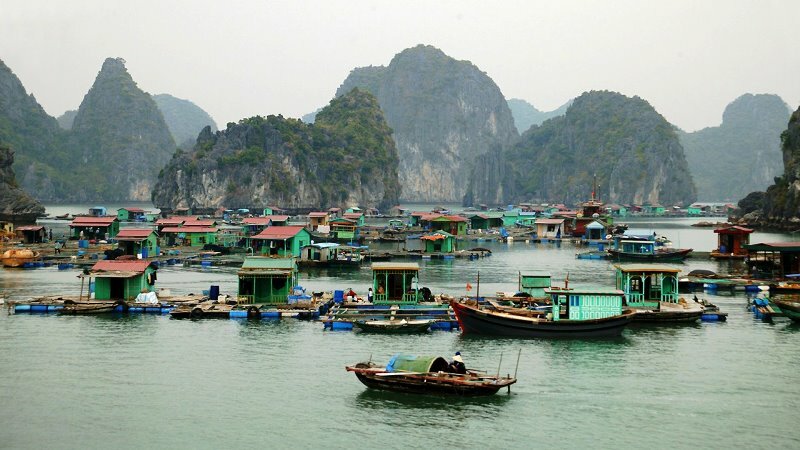 Although there may be times of cloudy skies, the average rainfall during the month of March in Halong Bay does not exceed 55mm (2in) spread out over an average of 13 days. But don’t worry, the sun DOES come out to say hello and the weather consistently stays between 18-23 degrees Celsius (64.5 – 73.5 F). Luckily, the humidity remains low until early May, making cycling through Cat Ba Island’s jungles pleasant and enjoyable. In addition, the sea is at one of its warmest yearly averages of 29 degrees Celsius (84 F), making it the perfect time to swim or try other recreational activities such as kayaking between the floating houses of Cua Van Fishing Village. Try to leave any big suitcases at your accommodation in Hanoi to allow more comfort during your transport to Halong Bay and more space to lounge in your onboard cabin. Instead, pack all your essentials in a small carry-on sized luggage to ensure maximum comfort, whether you intend to stay for 1 or 5 nights. 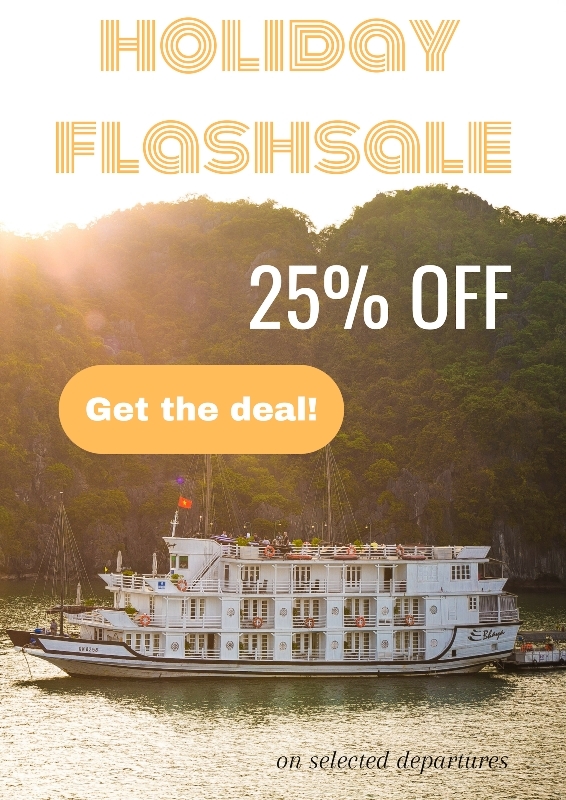 Booking a cruise in March means you’ll be exploring with many other intrepid travelers since this is a peak time for travel in Vietnam. 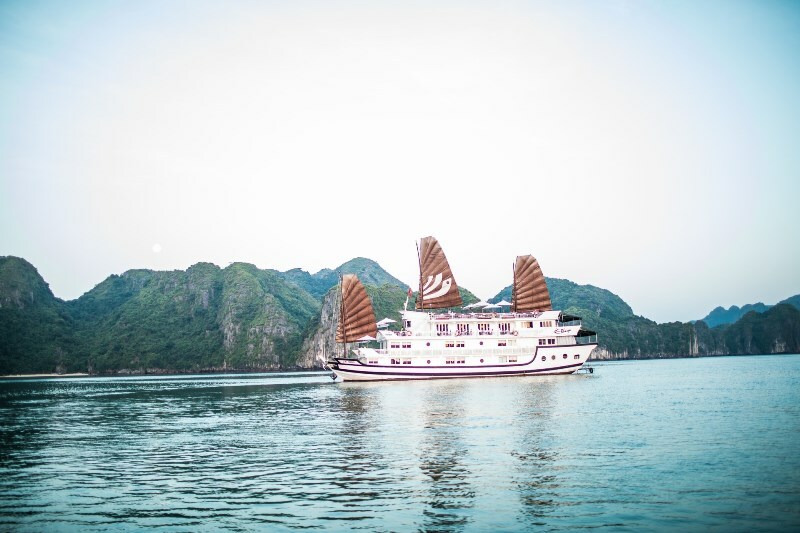 However, don’t let this information discourage you from traveling to Halong Bay, as Bhaya Cruises prides themselves on getting off the crowded tourist trail to provide the best experiences for their guests. 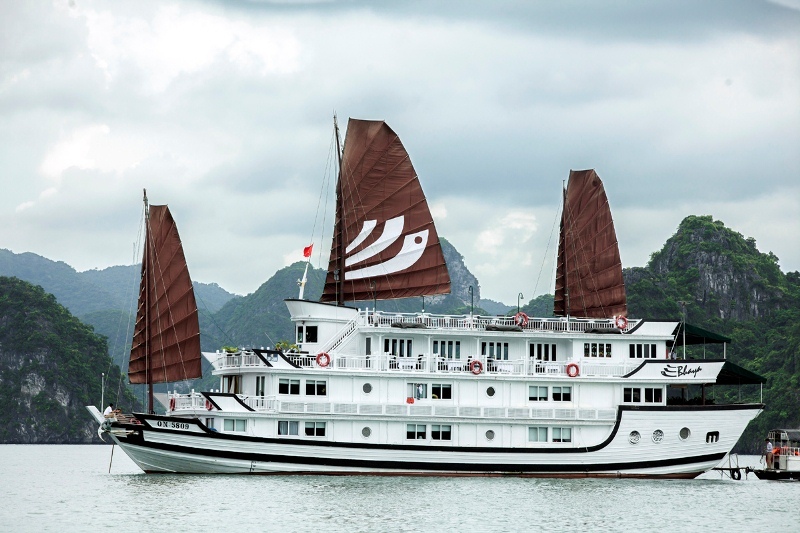 With the Bhaya Legend’s overnight private tranquility package, ditch the crowds and sail through the stunning limestone towers of Bai Tu Long Bay and Halong Bay. Kayak through the isolated fisherman village of Vung Vieng and take a gentle stroll through the ancient Thien Canh Son Cave. 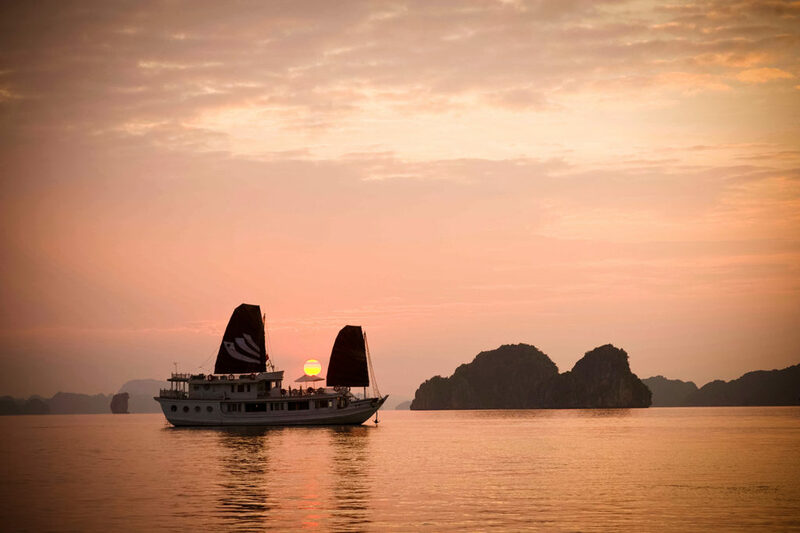 Another boutique way to explore Halong in style is with the Bhaya Premium overnight package. Although it does not visit remote Bai Tu Long Bay, the atmosphere is still cozy and perfect for small groups and individuals who wish to explore Halong Bay in a more intimate way. 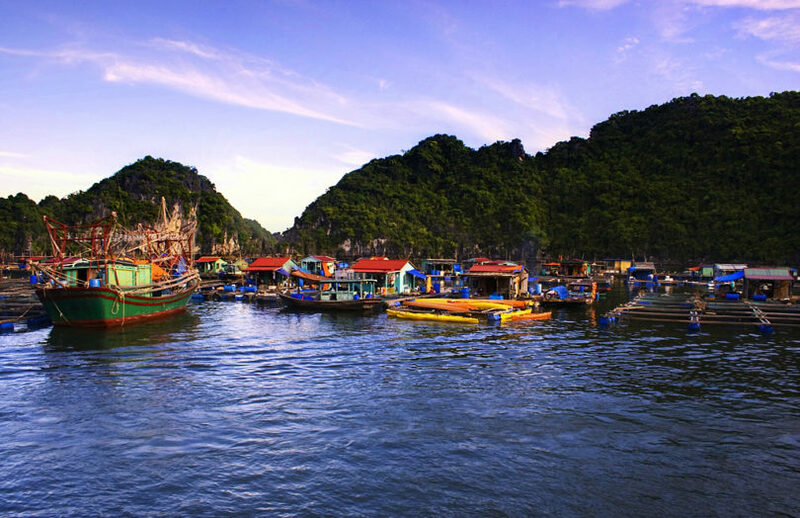 Swim in the jade-like waters, wander through Tien Ong Cave, and see scenes of traditional life in the charming Cua Van Floating Village before giving up your sea legs and returning to land. 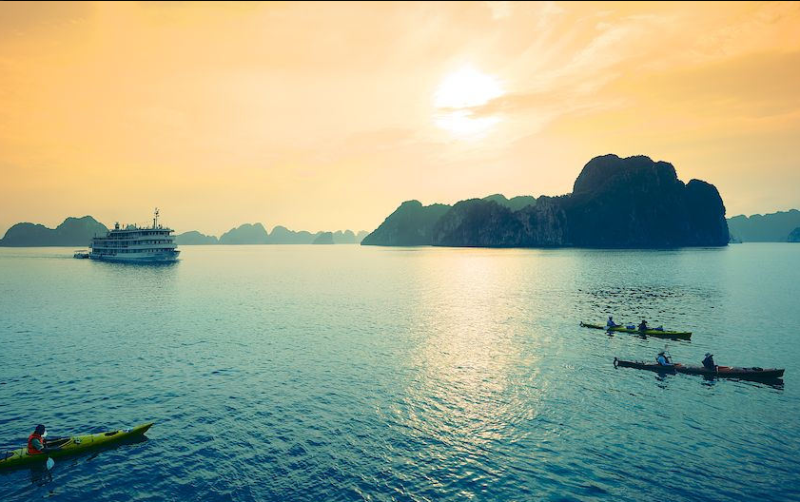 Whichever ship you choose, rest assured that your time in Halong Bay will remain a treasured memory of your time in Vietnam for future years to come. 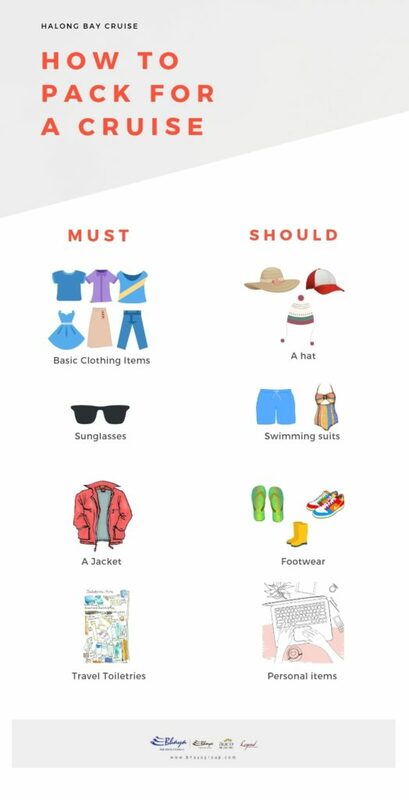 Halong Bay Weather in January: Is it too cold?